Over at Orson Scott Card's fun LDS project, The Nauvoo Times, I've offered a post on a topic I feel deserves more reflection and gratitude from all of us: movable type and the invention of the mass produced book. See "Movable Type and the Blessings of the Printed Word." There's a quiz there. Let me know how you did! 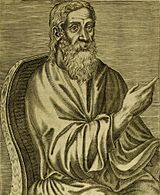 The mainstream Christian world for centuries has esteemed the ancient theologian Clement of Alexandria, as a "saint" or at least an early "Christian father." What delusion! What madness! Fortunately, thanks to the Internet, we can now access once hard-to-find information such as the actual writings of St. Clement, writings which clearly expose him not as a Christian, but as a classic non-Christian cultist, much like those modern Mormons. Perfection? Reaching a state in which humans are called "gods" and sit on thrones with other "gods"? Most troubling. Some of you still call this man a Saint? Hmm, maybe a "Latter-day Saint," but don't tell me this is compatible with historic Christianity (here I define "historic Christianity" as Christianity since, oh, about 1500 A.D.) With doctrines shockingly similar to theosis, it's pretty clear he's not saint at all, but some kind cultist, or even worse, some kind of proto-Mormon. But if thou dost not believe the prophets, . . . the Lord Himself shall speak to thee, "who, being in the form of God, thought it not robbery to be equal with God, but humbled Himself" . . . yea, I say, the Word of God became man, that thou mayest learn from man how man may become God. Is it not then monstrous, my friends, that while God is ceaselessly exhorting us to virtue, we should spurn His kindness and reject salvation? Monstrous indeed, as in monstrous Mormonism. Time to set the record straight at last! Unfortunately, this is not the only early so-called "Christian" leader with such problems. I expose even more on my LDSFAQ page on theosis. We've got to get the word out and help our fellow Christians see who some of these early "fathers" really were. The fact that they were venerated for centuries by Christians and seemed sincere in their belief in Christ and defense of Christian faith in no way qualifies them as authentic Christians according to our more rigorous recent definitions of "Christian" as required by modern historic Christianity. With flawed proto-Mormon theology, we must reject their status as Christians and, frankly, recognize that these deluded men are surely roasting in hellfire now. Them's the breaks. The strange entity known today as "dark energy," whatever it is, makes up 73% of the matter-energy of the universe. This energy form is something like anti-gravity, causing the universe to expand at an ever increasing rate, overwhelming the gravitational brakes of the cosmos. This mysterious substance is "dark" because it is so difficult to detect. Apparently distributed uniformly across space, the amount of it in the space occupied by the earth would be equivalent to about 10 milligrams of matter--essentially impossible to detect on a terrestrial scale. (University of Cambridge Office of Communications, "Cambridge Astronomers Honoured for Dark Energy Discovery," Sept. 6, 2007, http://news.admin.cam.ac.uk/news/2007/09/06/cambridgeastronomershonouredfordarkenergydiscovery/.) Only by observing the outer limits of the universe were scientists, such as teams at Lawrence Berkeley National Laboratory in Berkeley, California the Australian National University in Canberra, able to identify its presence and its dominant role. Just a few years ago, the reigning scientific wisdom held that the force of gravity across the universe was constantly acting to attract the galaxies of the universe, and that gravity would continually slow the expansion of the universe or even reverse, leading one to a massive implosion, "the Big Crunch." But as scientists obtained precise data from distant supernovae to show how fast various parts of the universe were moving, the teams were astonished at what they found. Instead of collapsing or gradually slowing, the distant reaches of the visible universe were accelerating their expansion. The universe was expanding at an ever increasing rate, as if an unknown repulsive force was overwhelming gravity. Both teams initially believed that they had made an error, and spent significant time trying to find the mistake. But their analysis was correct. It was the model of the universe – the cosmic org chart, so to speak – that didn’t describe reality. Some strange force, dubbed "dark energy," was changing everything. Dark energy is not the only thing that has confounded our understanding of the cosmos. We also have to account for another influencer that is far more significant than visible matter, a mysterious mover and shaker scientists call "dark matter." Dark matter refers to matter that we cannot see directly (it does not reflect enough light to be easily observed) but must be out there, based on the gravitational influence that it wields (unlike the anti-gravity aspects of dark energy, dark matter contributes gravitational pull). In fact, it is far more abundant that the matter we can see. 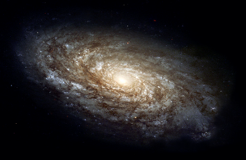 Its dominating effects are evident from observations of the rotation of galaxies, the motion of cluster of galaxies, and the bending of light from distant objects. Its nature is still a matter of investigation, but it also overwhelms visible matter in its gravitational influence. So scientists now understand that the major influencers in the universe include matter in the form of atoms, dark matter, and dark energy. And how do these compare? Based on detailed measurements, scientists have concluded that the best model to describe the macroscopic behavior of the universe is one with about 4 percent atoms, 23 percent dark matter, and 73 percent dark energy. We’re used to thinking of a universe made of visible matter such as atoms, but that’s only a tiny fraction of what is out there. The visible universe--the cosmic org chart, so to speak--describes only 4% of reality. Most of the influence shaping the motion of galaxies and the expansion of the cosmos comes from the unseen, from either dark energy or dark matter. The cosmic org chart is broken because the things that may actually drive motion and behavior at a large scale may not be visible to us. There are forces and substances unseen to us that actually dominate reality. We don't know what kind of matter spirit is, but won't it be exciting to find out? One day, these things will be known to us. Meanwhile, we must seek the influence of the Spirit and the real information that the Holy Ghost can convey into our hearts and minds, giving us sure knowledge of things not yet seen. There is more than meets the eye to life and the universe, and it's time we start facing that reality. Fans of the Book of Mormon may better appreciate its literary depth and the intricate relationships between its characters after reading "In His Footsteps: Ammon₁ and Ammon₂" by Val Larsen for The Mormon Interpreter. If you're a fan of the Book of Mormon who has studied it for years, you might, like me, be vaguely aware that there are two Ammons in the Book of Mormon. "Oh, right, there were two, I think." Did you ever bother to examine parallels in their lives? Ever explore what major events in their day, such as the union of Nephites and Muleites with all the tensions related to that, might have meant for them? Me neither. But Val Larsen shows that by taking the Book of Mormon seriously and looking at its characters as real people with off-stage lives, we can find far more depth and meaning. He looks at the parallels between the two Ammons and finds evidence of deliberate literary tools being applied to reveal important principles through the parallels in their lives and work. He also draws meaningful insights by considering the significance of the Mulekite-Nephite tensions and what that would mean for them. He partially relies on the important discovery that the Amalekites in the Book of Mormon are probably actually the Amlicites of Alma 3, one of the most interesting recent finds from scholar investigating the Book of Mormon and revealing that the text is much "smarter" than Joseph Smith. See my post here, "Amlicites = Amalekites and Joseph = Translator, Not Author," which discusses the work of Christopher Conkling, "Alma's Enemies: The Case of the Lamanites, Amlicites, and Mysterious Amalekites." One of my favorite points that Brother Larsen makes is that when Ammon, a son of Mosiah, is replaced by Aaron in visiting and teaching the grand Lamanite king, the father of King Lamoni, what we have is the oldest brother of Ammon and the rightful Nephite king who declined the throne now teaching the great and rightful Lamanite king. Cool symmetry. Read Larsen's article and let me know what you think. Some of it is speculative, but there's no doubt that there is much more to the Book of Mormon that most Latter-day Saints have realized, and the intricacies and literary depth of the accounts in question helps illustrate that point. Orson Scott Card offers some wise thoughts on helping others with our financial resources over at the Nauvoo Times in his essay, "The King Benjamin Society." This King Benjamin Society concept is beautiful--and it's one of those rare secret societies that we don't need to stamp out. I especially like his perspective on our stewardship over rather than ownership of material goods. It's not our money we are working with: it's God, and we are temporary stewards. That knowledge can guide us when others need help and we have means to help. I feel that dealing fairly and properly with the needy can be one of the most vexing challenges in life for those who have enough. Some of the internal conflicts I face are treated in my first post at the Nauvoo Times, "Finding Moses" (I'm still looking, by the way). It's a constant struggle, and Brother Card really lays out some crisp and compassionate thinking that I hope will help me do better as I struggle with these issues and the sons and daughters of God involved in these situations and transactions. I had a bizarre event this week with a completely different flavor where I learned the hard way that trying to play Santa Claus can get out of hand and create unintended consequences and frustrations. In a nutshell, I was mobbed by shoe-shine ladies at the train station in the city of Dan Yang who knew I was eager to help by paying a lot more than they normally charge. They all wanted to be my shoe-shine lady, so I told all three, no, four of them to share the cash equally and just have one of them shine my shoes. And then another three or four came led by a woman saying that I was her customer before and that she had approached me first today (true) and they should get do my shoes, so I gave them the same amount of cash and told them to split that. Santa Claus! Then I was surrounded--mobbed--by this big group all thanking me profusely as one woman shined my shoes and as I tried to sort of shrink and just get this embarrassing shoe shine service project over so I could go catch my train. Moments later, my shoes were shined and I stood up, ready to leave, but the woman who had just polished my shoes said she hadn't been paid. The cash I had handed out to be evenly split had split with her partners/competitors, and the few still nearby didn't seem keen on departing with any of their bounty to help the one who had actually done all the work. My shoe shine lady held out her empty hands. Was I going to walk away and cheat her? I was being cheated, I felt--was this whole scene a scripted scam? Perhaps, but I was the lead author of the script and it's one I doubt they had rehearsed before. The cheating, if that's what it was, was probably not coming from the one who had diligently provided the service, and so for the 3rd time I had to bring out cash to make sure she got a little more than the others. It was a very costly shoe shine and one that I don't think engendered the right values and attitudes among the people I wanted to help nor in my own heart. I still haven't had the courage to tell my wife about it because I'll feel too foolish. Hush! A cabby watching the whole ordeal shook his head and told me that I shouldn't have done that. ("Buxing, buxing.") I think he's right. A pretty clumsy Santa Claus routine. One that falls far short of the majestic example of a compassionate Christian friend of mine that I share in yet another Nauvoo Times post, "Notes from the Ministry of Shoes." What a difference! And what a reminder of the complexities involved in dealing with those in need--a state we are all in, one way or the other. After all, as King Benjamin so wisely said, we are all beggars before God. Our needs are complex and unable to be handled by any one algorithm or piece of legislation, which is why we need the Spirit, and creative, loving people willing to make time and resources available for for flexible, individual solutions to individual needs. The King Benjamin Society is part of the inspired approach to dealing with this ever-present problem. Clifford Jones' new book, The Great & Marvelous Change (coming soon now available at Amazon), is a 230-page work that builds upon his original publication, “The Great and Marvelous Change: An Alternate Interpretation” in the Journal of the Book of Mormon and Other Restoration Scripture (vol. 19, no. 2, 2010, pp. 50-63). One might wonder if an entire book is needed to strengthen the argument already made so persuasively in his ground-breaking article, but the book adds many new dimensions of insight that go beyond merely strengthening his main thesis by also showing how to explore the Book of Mormon and mine treasures from the text. Though his work is focused on what may seem like a minor question, it has far-reaching implications and brings together many aspects of the Book of Mormon text to help us understand some key issues relating to the climax of the Book of Mormon, the visit of the Lord to Book of Mormon peoples on this continent after His Resurrection. It’s a worthy topic and Jones’ work is a worthy example of approaching the text seriously and with both a scholarly and faithful eye. Some have assumed that the great and marvelous change refers to the destruction that changed the face of the land. Multiple lines of reasoning, though, challenge that assumption and point instead to a change that was and is much more important and far more marvelous: the Atonement of Jesus Christ. After hearing the voice of Christ speak to them during the three days of darkness following his Crucifixion, the Nephites and Lamanites now had evidence that the Atonement had been completed. They no longer needed to wonder if all the prophecies of the Messiah were real. He had come to earth and completed His mission. The Atonement was done. Animal sacrifice was no longer needed. Everything had changed. Dramatically, marvelously. Cliff Jones astutely argues that this must have been the great and marvelous change that the Nephites were discussing when they gathered at the Temple months later for what appears to have been a major religious event. Four words with similar meanings may be the most significant context clues for identifying this important change. Together, they tend to confirm the reverent nature of the gathering at the temple and the spiritual nature of the change that was being considered there. This combination of four words with similar meanings plays a significant role in two interesting connections between the term the great and marvelous change and the Lord’s earlier message about the Atonement. The first connection suggests that Mormon intended to link the “astonishment” of the people who heard the Lord’s “sayings” about his redeeming sacrifice and the “marveling” of the multitude at the temple about the “great and marvelous change.” The second connection suggests that the words marveling and wondering may have been chosen specifically to describe reverent contemplation of the Lord’s sacred sayings. He goes on to explore how words like “astonished” and “marvel” are used in various passages of the Book of Mormon. Later he explores that case of mistaken identity when the Book of Mormon peoples thought they were seeing an angel as Christ appeared to them, and then fall to the ground in reverence when they recognize who it is. He explores some of the language used in these passages and fishes out further insights that help us understand what was going on and why some things are described with certain words. I was greateful, for example, for his analysis of the word “remember” in 3 Nephi 11:12: “the whole multitude fell to the earth; for they remembered that it had been prophesied among them that Christ would show himself unto them after his ascension into heaven” (3 Nephi 11:12). Based on consistent usage in the Book of Mormon, this may refer not to a sudden remembering of something forgotten, but of lifelong remembering of teachings and covenants. Mormon uses the term great and terrible six times to describe the various aspects of the destruction at the time of Christ’s death (see 3 Nephi 8). He never uses the terms great and marvelous and great and terrible interchangeably. His exclusive use of the term great and terrible to refer to the destruction and of the term great and marvelous to refer to positive, uplifting events would suggest that he used the term the great and marvelous change to refer to a wonderful change rather than a destructive one. Had Mormon intended to refer back to the destruction, he could have once again used the term great and terrible, the term he had consistently used earlier to refer to the various aspects of the change to the whole face of the land. His analysis is definitely worth reading. In brief, though, the destruction of 3 Nephi 9 occurs in the beginning of the 34th year and the visit of Christ in the end or latter portion of the 34th year. The gathering of the Nephites at the temple at least several months after the destruction is likely to have involved deep religious reflection and the change the Nephites are focused on is more likely to be the Atonement, not the wrecked buildings and roads. Jones makes an excellent point related to timing by also considering implications of the Lord’s charge to Nephi to add the information about the rising of some saints that Nephi had neglected to add to the scriptural record. Jones argues that Nephi would have required weeks or perhaps even months to obtain information about the scope of destruction that had occurred across the face of the land to record it as he does. By the time he was able to accurately record those events, it could be plausible that he would overlook his failure to record the reports of some saints rising from the dead, and months later when the Lord came, enough time would have passed for him to truly have forgotten that he had not recorded that information. The account of Nephi’s forgetfulness doesn’t make as much sense if the appearance of the Lord were just a few days after the destruction. Jones also takes up the geographic scope of the destruction, which Samuel prophesied “should come to pass upon all the face of this land” (Helaman 14:28, emphasis added). He examines many arguments and concludes that this destruction was across both the land northward and the land southward. The argument could have been made much more succinctly, but it certainly is thoroughly considered. Jones then considers the nature of the gathering of the Nephites at the temple in Bountiful, and brings out numerous clues pointing to a planned event, not a random gathering. The presence of all 12 whom the Lord would call as disciples, the presence of many children and of the sick and the infirm at this event, the role of ritual gatherings at the temple under Nephite religion, and other factors point to a planned gathering, where the Nephites weren’t just chatting, they were “conversing” about the marvelous change. Jones shows that the Book of Mormon usage of “conversing” is consistent with deeply spiritual and significant reflection, not idle chat. Jones also draws some practical lessons from his exploration of these topics. For example, those who gathered there, just 2,500 of the Nephites, according to Jones, were exercising faith and diligently obeying in a difficult time. They were greatly blessed for their faith and diligence in coming to the temple as directed to participate in a major religious gathering. Many others apparently weren’t so diligent. There are lessons for us in that experience. Jones also observes that Nephi’s mistake has been written into scripture, reminding us that we should not lose faith in our day if there are mistakes among our mortal leaders that later require correction, even later intervention through revelation from the Lord to repair. We also learn, of course, that there is much more waiting to be revealed, and that we must patiently wait upon the Lord for further knowledge in the future. The reader should realize that some passages of the book seem lengthier than needed. Jones often pursues tangential issues and illustrates some points with a multitude of examples after the reader should already be convinced and ready to move on. Clear chapter headings may help the reader to simply jump to the next section in those cases where further discussion may seem unnecessary. However, the tangential issues often bring out further insights into the Book of Mormon and the Atonement, and should not be skimmed too quickly. But I could readily imagine that tighter editorial constraints might have made this book shorter yet just as valuable. Jones’ work is a significant contribution to our study of the Book of Mormon, in spite of being focused on what some may see as a very minor issue. But understanding the most important event in the Book of Mormon, and one of the most important events in all of recorded history, the visit of the Resurrected Lord to a people in the Americas, is worth digging into details. As we dig and explore, we come away not only with a much better appreciation of the reality of that event, but also of the grittiness and hardiness of the Book of Mormon text itself, where there are many rewards for those who take it seriously and dig into the text. One of the most important lessons from this book is just how deep and worthy of study the Book of Mormon is. It is not the shallow, ridiculous text lampooned by critics who have rarely touched the book, much less studied it. It is a rich and detailed text that bears fruit from intricate study of its internal treasures. Digging into the book helps illustrate that it is an ancient text, written by multiple ancient writers with different styles, translated in our day through the power of God. It is an imperfect book, having been through human hands, but a divinely inspired one that will bless our lives as we seek to learn its lessons for our day. Have You Tried Prayer? Patiently? "Did You Think to Pray?" 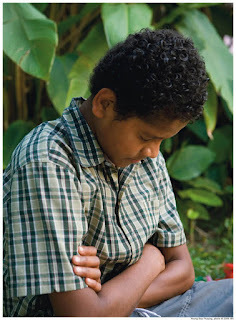 is a wonderful LDS hymn that reminds us of the importance of frequent prayer. Daily prayer. For all of you, there are problems, pains, and threats facing you right now. Some of these challenges are far greater than you can handle on your own. Did you think to pray? Have you turned to God and prayed for guidance, wisdom, and insight? He is there and does answer prayers, though rarely in the way we would expect if God were merely our magic genie and servant. If we understand that His goals involve our growth and transformation with an eternal persecutive, we may be more able to recognize His hand and His answers to prayer. But whether it is seeking help in the face of tragedy, making a difficult decision related to employment, marriage, or education, or seeking to understand how we can better live our lives and find happiness, He welcomes us when we turn to Him and is there to listen and reply, if we are patient and seek to listen. The most important moments of my life have involved prayer. The most important steps forward in my life have come through prayer. Some of the biggest surprises and joys and have come through prayer, as well as some of the most painful rebukes. But I can testify that God is real and that He loves us, in spite of our sins and pettiness, and is there to help us advance and become happier people if we are willing. Prayer definitely makes a difference. Often not the difference we want, but certainly the difference He wants, if we will listen in patience and faith. Movies are not a priority in my life, partly because we simply don't feel we have time for them, and partly because so much of what passes for entertainment these days is at best a distraction and often a major detour from the path of happiness, in my opinion. Don't worry about me missing out on all the fun, though, because on my international flights from China to the US and back, I have the stomach-turning pleasure of being exposed to dozens of flicks on the personal monitors that passengers have. For those moments when I don't have a blindfold on, it's hard to avoid seeing abundant evidence of just how unwholesome Hollywood has become. On my recent flight from San Francisco to Shanghai, for example, I was seated behind a lovely family with two young boys. Were the parents worried about all the scenes of violence and salaciousness that the kids might encounter? Probably not, because I had to be careful not to pay attention to either of the two monitors that the parents were viewing. One was some kind of splatter-flick with a woman in leather fighting hordes of zombies or something. The dad was watching something about rock stars with offensive sexuality. R-rated and unrated but questionable movies seemed to dominate the selections. For parents who wish to avoid R-rated content for themselves and their children, it's almost impossible. It wasn't this way a few years ago, but the advent of increased personal choice for passengers means parents have a lot less choice about what they and their kids are exposed to. Do you have any suggestions on how to deal with this nuisance? Have you found any international airlines that are more family friendly?